Going a long way back in time, it’s apparent from an 1874 Nevada State Journal story that the Washoe Valley south of Reno was touted as an ideal spot for growing anything that blooms, likening our valley’s climate to that of the Valensole plateau near Provence, France, a hilly region known for its lavender. And going no further, I’ll confess to the reader that this story is like the convoluted song lyrics “On her breast she wore a lily, where I longed to lay my head.” I’ve rearranged it three times and still have difficulty with a starting, a middle and an ending place. Therefore, you’ll read about the lavender farms in this posting, with the companion story of the underlying San Antonio Rancho following it. Those herbs, I surmise, might include lavender. But I can learn little more of Sutherland’s operation. A 1936 tax roll shows a couple of Sutherland parcels south of Reno but in the Anderson tax district, possibly near Rusty Crook’s This-is-It Ranch which is well north of Pleasant Valley. Nor do the tax rolls offer any help as to the parcels’ use. 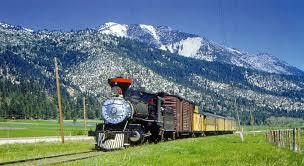 It is, however, revealing to find out how much was going on in Washoe Valley in the first half of the 20th century — with livestock production, some mining, dude ranches, crops, transportation by rail and highway, tourism — one busy little valley. The accuracy of all this admittedly should be taken with a grain of salt; some years-old notes I kept memorialize a chat with a schoolteacher-column reader who taught at the old Brown School just north of the rumored lavender fields in the 1940s, that school very near the South Virginia-Geiger Grade intersection. Her distant recollection was that the Famel fields were extensive and that the major buyers of the crops were foreign perfume factories. Famel doesn’t show up in any tax records that I could find. Suffice it to say, some fields of lavender in Washoe or Pleasant Valley definitely existed, yet pinning them down remained a work in progress supported by some old press clippings but with many questions to be answered: When were they created, how long did they last, and where, exactly, were the fields? I admitted that I’d tried in the late 1990s to write of some wartime lavender fields in Washoe Valley that I’d been told of, but had totally struck out in any research. Scholarly research gave way to unabashed public begging, and yikes, did that ever work wonders! 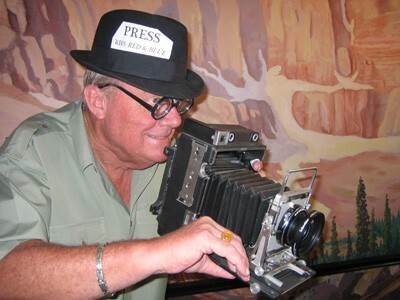 Much information came from friends with ties to the ranch — Muffy Greil Vhay’s dad, Jim Greil, was an accomplished artist and a state highway department photographer who lived in Washoe Valley, where Muffy attended Franktown School and held vivid childhood recollections about the Famel family. With husband David (“Tink”) Vhay, she provided photos of the ranch taken by her father. And, from Joyce Thornton McCarty and her brother Bill Thornton (yup, the Cal-Neva guy), whose grandparents William and Myrtle Stevenson ran the lavender farm, household and staff for the Famels, came a trove of family history that had been assembled by their mother Jeanne Stevenson Thornton. This information offered some new keywords to search at the Nevada Historical Society and made the two columns possible. I once speculated that the Famels were only tenants of the San Antonio Ranch, that being the name of the property that I’ve created a second post to discuss a bit further. I’ve now learned that the Famels were far from tenants, in fact Dr. and Mme. Sylvan Famel were extremely wealthy international perfume and pharmaceutical manufacturers in the French perfume capital of Grasse, 11 miles north of Cannes. They fled to America with their two grandchildren just before the 1938 Nazi invasion of France, taking with them a fortune in cash, which didn’t exactly tickle the French or the Germans. They purchased the secluded 2,500-acre ranch, and they, not its original owner, named it the San Antonio Ranch, that appellation’s inspiration unchronicled. In 1939 they planted it extensively with fruit trees and built a still — which attracted the attention of the law — for the purpose of extracting oil from sage for use in perfume, soap and candles. I am unable to determine what school they still occupied — the Franktown School was then in use. The ranch did succeed in raising pharmaceutical herbs, which were in short supply during WWII. Their perfume products were meeting with some success and were given a localized name, as witnessed in an unreproducible photograph of the Famel’s “Bonanza Perfume” float in the 1949 Nevada Day parade. And how cool is this? : Muffy Vhay loaned me a picture that her father took dated 1947, of a man and a youth standing in a field next to a 1939-ish Ford pickup lettered “San Antonio Ranch.” I showed the photo to Joyce McCarty, who with a slight shriek audible throughout the Gold ‘n Silver where we were meeting, identified the man as her grandfather. And the same pickup shows up pulling the float in the 1949 parade newspaper shot. Famel enlisted the favor of Governor Vail Pittman, and through his influence lavender seeds were made available to the Nevada State Prison to be planted for a prison industry. 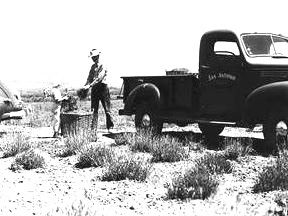 Between 50 and a hundred people were needed for the annual harvests in Washoe Valley, and it’s speculative that some labor was provided by the prison. 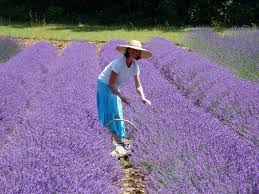 Muffy recalls that at least some of the harvested lavender was being sent — after the war — back to France. Labor was an ongoing problem for the Famels, who eventually made a transition from lavender growing and processing to running a substantial herd of Hereford cattle. The Famel family started spending more and more time away from Nevada. Following the end of WWII they were able to abandon a life of de facto exile and they bought a little spread outside West Palm Beach, Florida, if that’s what they call such in West Palm Beach, and spent half the year growing lavender there. They acquired an apartment in New York City in the early 1950s, virtually forsaking Nevada residence, and eventually returned to live permanently in Europe. Thanks to the Vhays, Bill Thornton, Joyce McCarty, Larry Garside, Jerry Vanlaningham, Patty Cafferata and a few with names withheld, for the help. Their photos and knowledge and the resulting work product will go eventually to the NHS for all to enjoy. Soon the San Antonio Ranch saga will continue in another posting here — of the years preceding and following the lavender fields. 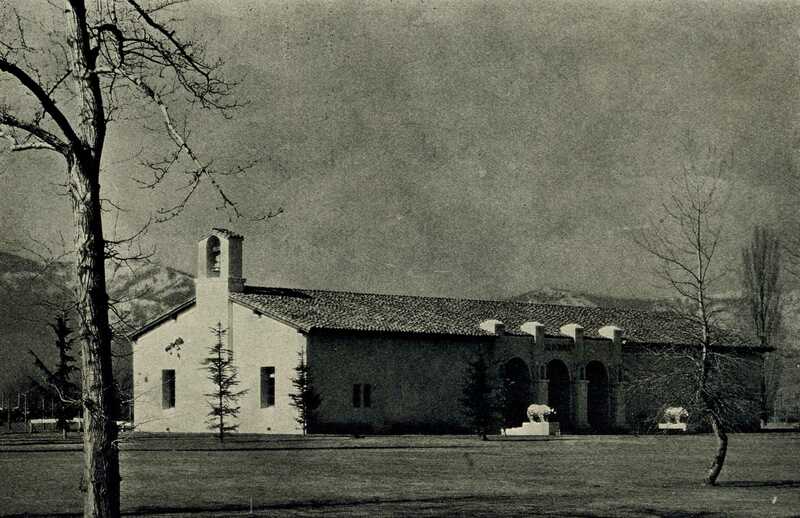 We’ll read of the ranch’s original oil-heir owner and the then-biggest child custody battle in the state ongoing in Washoe Valley, and of gambler James McKay’s 1951 entrée into the San Antonio’s ownership. California Avenue, so named because it was the road to California, natch; follow it westward to Mayberry and beyond, ‘cross the river and onward up the Truckee’s canyon, and where are you? Well, California, of course – that’s how the early travelers got to the Golden State, beyond My Favorite Muffin, the Truckee River Bar & Grill, and a little past Raley’s, and they were there!! Well, sort of, anyway. Today we’re just ambling around the street by daylight, but on Thursday night – Dec. 11th – from about five o’clock on you can stroll, shop, have a glass of holiday cheer, wear a top hat and look like a complete idiot if you want to – watch out for the TV cameras though; I got caught in the Blue Plate a couple of years ago (yeah, we have our own restaurant.) [That, the Plate Special, ws the former name of the Ol’ Reno Guy website.] There are supposed to be strolling carolers, and indeed there were, the first year, but the last two years some kind of fire dancers showed up with a few thousand decibels of rap crap music and most strollers strolled off to Buffalo. Or shuffled, can’t remember. My roots go deep on California Avenue – in 1950 my dad, Karl the Elder, bought what was generally known as the Larsen house at 320 California Avenue – across the street from Roy Hardy’s house. I remember vividly seeing Mr. Hardy’s nurse, a stout woman in traditional white nurse’s apparel with a screwy cap, pushing him out onto the patio of the house – it had a patio then on its lower floor. And there he’d sit, taking in the sun on a Saturday morning. Went over and talked to him a few times, we kids did, to see if we could play ball on his front lawn, which seemed then to be huge. It was cool with him, and we did. He was a nice guy. It was during that period of time that another fine old home was being moved by Rom Bevelaqua, from the lot next east to Roy Hardy’s house. It was a beaut, reminiscent of the Levy Mansion, now Sundance Books & Music, just down the street that’s still on the corner of Sierra (then Granite), but a bit smaller. It was taken out Plumas Street to a site near Mountain View Drive across from the present tennis courts. Pharmacist Bill Ramos, a nice guy from El Salvador who had operated a drug store downtown, had bought the site, with the help of a few doctors (who would later occupy the building to the east, facing on Hill Street). Ramos Drug opened in 1951 and was a fixture in Reno – prescription drugs, sundries, and the greatest soda fountain in town (yikes, now I’ll hear about a few dozen more favorites and have to write about them also!) That Ramos building is now the Cheese Board). Oh, yeah; Deux Gros Nes was upstairs for many years – that freestyle happenin’ joint occupied the space that Bill Ramos originally built as his own living quarters, and there he lived for a number of years (he later moved to Hidden Valley, and has now passed away.) Another stalwart, Powell’s Drug, is now a bar. My dad built a building at 320 California Avenue, with three units (316, 318 and 320) and opened it in 1951 [it now houses the Postal Depot]. It was designed and built by contractor Clifford Blabon, who designed and built many homes in southwest Reno, my favorite at 864 Marsh Avenue, built for gambler Bernie Einstoss and his family. One of the nicest homes in Reno, to this day, if you can abide the Marsh Avenue traffic. The Larsen home remained behind the little office building, used as a contract bridge studio and later a decorator’s office until the late 1970s. Across the alley to the west was and remains a very luxurious six-unit apartment house for its time, originally called the Jamison Apartments and built by the contractor (Jamison)) that built the First Church of Christ, Scientist (Christian Science) church on the Truckee, now known as the Lear Theater. 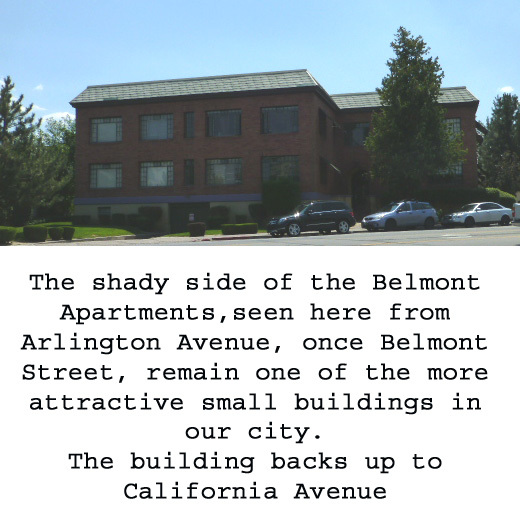 Your voices spoke last week, following the “tour” of “Midtown Reno,” from California Avenue south to Mt. Rose Street: “Karl, your column’s too damn long…” OK – we’ll cut it off at this point, and reserve the right to go back to California Avenue on some week in the future. Have a good week; tell a friend about this site and come back occasionally during the week as I can see it’s not all going to get updated in one swell foop on one night a week. Enjoy the California Avenue Stroll and God bless America!